This list for Set II is likely incomplete, as the only recording that circulates fades in and out at points. The “Whipping Post Jam” fades in after Mike’s Song on the recording that circulates. This “Jam” contained jams reminiscent of The Grateful Dead’s The Other One and Dark Star. It also featured Norwegian Wood teases from Mike, a Slave to the Traffic Light tease from Trey, and a jam reminiscent of the early intro to Harry Hood. Antelope fades in after the “Whipping Post Jam” fades out. The complete lists for Sets I (featuring the first known Phish performance of Wild Thing) and II are not known, although Mike has referenced the first set Wild Thing in interviews and in The Phish Book. Mike: "I had my peak musical experience of all time during a gig at Goddard College in November 1985. At the time I was an engineering student pondering a transfer to film. I'd just completed a series of tests, and the pressure was temporarily off me. The entire week was a peak experience of sorts. I'd played jazz bass solos for the first time in my life during an open-mike gig with [Jazz Mandolin Project leader] Jamie Masefield, the night before our Goddard cafeteria dance. The snow had just fallen for the first time that fall the night we played, but it was still fairly warm outside. Located out in the middle of the woods, Goddard was something of an anti-institution at the time. Only about fifty people were on campus the night we played, and of the ten people who came to the dance, eight left after the first set. This was an official college event, so not coming definitely made some sort of statement. We set up in the school cafeteria, part of which consisted of one of those circular rooms in which you can hear whispers traveling around the walls. Jeff was still in the band, and we all faced each other in a circle. We were playing two kinds of gigs at the time: either loose gigs with great jams or tight gigs were we got the (chord) changes right - but never at the same time. Our light show consisted of one red floodlight, one yellow flood, and one green flood. A couple of band members began playing while we were still setting them up, and I knew even before picking up my instrument that this gig would be infinitely tight and loose at the same time. The sun was setting, and it looked perfectly white and tranquil outside. During the first set we played "Wild Thing" and a few other songs that had been scrawled on the blackboard we set up for requests. We went out into the hallway and passed a joint around with some strange people after the first set. I got really, really high, and as the rest of the band returned to the cafeteria, I realized that I couldn't stand up. When I finally did, I just sort of glided like a hovercraft back downstairs. Jeff was playing volume swells on his guitar, which I thought was the most incredible sound I'd ever heard. We turned off all the lights, and I started jumping up and down with the beat, not caring how I looked for perhaps the first time in my entire life. as we jammed, I felt more spiritually in tune than ever before. i felt at one with the building, wall outlets, chandeliers, and these people I loved. as we kept jamming, my ecstatic state didn't diminish no matter how I played or what style we played in. At one point I had a vision of Trey standing beside me in white tails with a pocket watch, as if we were performing during the 1920's. The whole experience was like viewing a huge well-lit room after having been blind. I felt completely illuminated. I decided then and then there to start a journal, and I've kept one ever since. The first two volumes were completely about that experience, then they branched off to concern related experiences of life, art, and music. How do music and art help me and others to actualize ourselves? What's the formula, if there is one? What conditions make it most likely to occur? I was more like myself that show than ever before, but I was also part of Phish, five people in a circle who seemed to hover above the forest and move slowly through the trees. I wandered into the woods after the second set and decided never to return. Yes, film-making was better than engineering. But film had nothing on the musical experience I'd just had, and I was afraid I'd never be able to recapture it. So why bother? When I did return, the rest of the band decided to play another set. I was terrified another set would soil my past experience, but it turned out to be just as great! We played for hours to the two or three people listening to us in the darkness. I decided my goals in life were to live in the woods, travel around from city to city, and try to replicate the experience I'd just had as often as possible. The whole gig's on tape, but I'll probably never listen to it." This is a very significant show for the effect that it had on Mike. As the liner notes mention, Mike had a 'realization' after the first set of this show and realized that he wanted to be a musician for the rest of his life. It is interesting to hear the band playing at the show that made such a large effect on him. If you are familiar with shows at this time period, you'll notice how awkward the band sounded with both Page and Jeff in the band. Although the available recordings available yet are of a snippet of the second set, the band sounds much more in tune than in earlier shows from the year. They are more confident and definitely are capable of making significant improvisational changes throughout the course of several jams. In some ways, the band at this show indicates a sign of what is to come, ecspecially during the very long Whipping Post Jam, which lasts about 27 minutes! Mike's Song starts off the second set for which there is available recording. The fast-tempo Mike's at this point is the same structure as later Mike's, but once the lyrics end, there is a 2 minute jam with a surging Trey-led jam. One can notice how Trey has begun to find his own voice in his solos, but still is heavily influenced by other guitarists (particularly Robert Fripp in this show). The Mike's is short, though, and all semblance of it moves into something that is known as the "Whipping Post Jam". I'm not sure why this jam is entitled the "Whipping Post Jam". 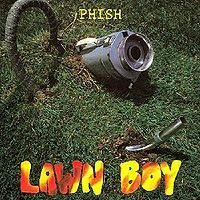 One could argue that it is a gigantic near half hour mish mash of 80's style noisy Phish that weaves through several early Phish themes. The first 7 minutes find the band in a nice rollicking groove, which gives way to the major "Whipping Post" jam. The next 8-10 minutes are consumed by a noisy cacophonous jam based on Whipping Post, but there is nothing of significant substance; the band seems to just be enjoying improvising. After a while, Mike teases "Norweigan Wood" and this signifies a pretty jam with the whole band moving around the song's chords. The tempo slows down, though, and Trey moves into a series of chords that mimics today's "Mountains in the Mist." In fact, this particular part of the jam sounds almost identical to "Mist", except that with Jeff, Trey is able to solo above Jeff's rhythm section. After moving through a Prep-School Hippie-esque movement, the whole band clearly moves into the introductory part of "Hood". The reggae jam finally winds into "Antelope". This Antelope essentially starts right after the current-day versions heavier jam section starts. Jeff holds down the rhythm and Trey is able to solo over the top. Trey does say the 'Marco Esquandolas' line, but there is no real conclusion to this version. Finally, the band moves into 'Dave's Energy Guide'. While I won't dig too deeply into the debate about this song, I can say that this version is so similar to King Crimson's "Discipline" that it might as well be called a "Discipline-Jam" if we are considering the earlier jam to be a "Whipping Post-Jam". Unfortunately, the tapes fade after this jam, and there is no trace of the remaining setlist. This show does mark a period when the band is playing particularly well. They are starting to be able to synch their grooves together and sound much more cohesive than in any of their previous shows. Perhaps this cohesion was the reason for Mike to feel so positive about his future with the band. There are parts in some of these jams where the band moves quite seamlessly. Granted, the audio quality of this show is very poor, and it would be interesting to hear it with more clarity, but for the time, the band was playing quite well. Perhaps the fact that only a few people were in the audience and the pressure was off the band that they played so significantly well (a theme that will resurface throughout the band's history). Overall, worth a brief listen if only for the history to the band and if you have a tolerance for mid-80s raucous jams with lots of flexibility and don't mind poor audio quality. If you like to listen to tight shows, this one is not for you. First of all, the bookends: Mike's Song is OK, although I have to say that I like these early Mike's Songs with their free exploration quite a bit more than the majority of the feedback-y Mike's of later years. The first half of the Antelope jam is fairly interesting, but it then transitions into DEG, which can be pretty harsh to listen to. I think a full DEG should never be listened to on acid. Or maybe always. I'm not sure. But the Whipping Post jam is classic, experimental, you-gotta-hear-this Phish. Make sure to push past the first few minutes, which kind of straddles the gorge between a jam and an atonal musical miasma. But from there, it's well worth your time -- and you'll need some time, 'cause the whole thing is 27+ minutes before it fades out. If it had actually segued into Hood I very well might have had to call into work with MFS (Melted Face Syndrome). Despite the brutality of Dave's Energy Guide, I'm also going 4 stars on this (me and @cjfphan21 are in lock step tonight), because I was so psyched to hear what that Whipping Post jam turned into. Pretty good early Mike's, looks like this was the 5th time played as far as we know. Jam starts out nice, but unfortunately fades out a couple minutes in so we don't get to hear where it went. Whipping Post jam...wow. I'd like to hear something like this today. 27 minutes of improvisational bliss. I'm not gonna spoil anything for anyone, but you have got to hear this thing. I wish the quality was better; I might request a remaster for this as well. Post-intro Antelope. Crazy Trey solo, very unabated, but I don't really like Jeff's comp at all. I don't think I've ever actually heard a DEG (I know, I know, how utterly NOOB of me). I've listened to songs that apparently contain DEG teases, but I don't really recognize this. It's f***ing crazy to say the least. I'm going 4 stars. It's hard to properly rate this show based on how incomplete it is. But what is easy to know is that the Whipping Post jam here is one of the most important jams in Phishtory. It's one of (if not the longest) from the primitive years of Phish. Although it does not have the progression or direction from the post '93 years it is no doubt fluid the whole time. It is essentially the band piecing together various styles and a ton of different teases. The above shows all of the obvious teases like The Other One and Norwegian Wood. What isn't included (yet) is the Slave to the Traffic Light tease at 19:24 of the recording. The whole thing is fantastic and a huge stepping stone for the guys in terms of improvisation live. Mike's is a fairly rough and early version as is Run Like an Antelope. Dave's Energy Guide is obnoxious as usual. Overall what was recorded and recovered is pretty entertaining and good. The only thing worth going back for however is the Whipping Post Jam. The Mike's Song here is structurally very similar to a modern MS, and now we hear Trey take it up a notch or three during the break. Definitely coming along quite nicely, and as SlavePhan mentioned... it is obvious that Trey has been listening to his Crimson recently. Too bad it fades out because I'd love to hear what belongs in the gap that ensues. The Whipping Post Jam might just as well be called the [insert your favorite song here] Jam... there is no Whipping Post in sight. Either this is the first major Type II jam, or someone was extremely creative [or high] when they named this thing. In any case, I liken this performance to one of the major soundchecks/jams that came along later. You know, like the IT Fest soundcheck. Not that it sounds even remotely the same... just that it meanders and gains a life of its own in the same way. 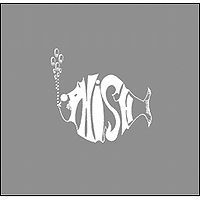 To me, this is the first monster jam that Phish ever performed... at least the first one that we have tapes for. The Antelope & DEG continue on in stellar fashion. I wish that the Antelope was here in its entirety because the energy is fantastic. I really, really wish that the rest of this show had been taped. This is the first show that holds its own... end to end. This show tells me that Phish is a force to be reckoned with (and now we know that... but not at the time). If I had been there when this got played, I could have fast forwarded a whole lot to the "I love Phish" stage. And while the other reviewers have called this Dark Star like (I actually think it sounds way more like The Other One than Dark Star), that is in my mind only a philosophical connection. This thing is uniquely Phish.